Soma 4 Living has comprehensive ergonomic and musculoskeletal injury prevention programs for employees, trainers, and supervisors. 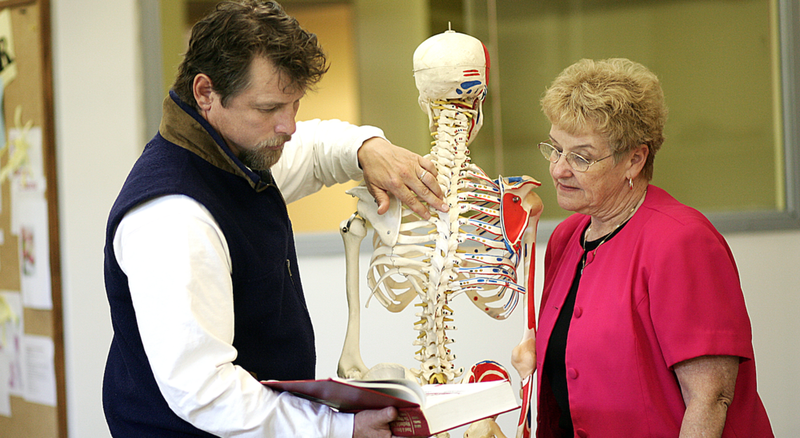 We use a successful approach to adult learning that is proven and practical. We give your people the information and tools to avoid injury, reduce pain, work smartly and age intelligently. They will learn how to recognize and reduce risks associated with their positions and job demands while staying productive and performing well. We have experience in many work settings and we adapt our programs to fit your organizations specific needs, environment and culture. Whether you want something easy and economical or are looking for a full prevention and performance system implementation we have the products and people to get the job done right. Finding Neutral- intro program with practical tools. ergonomics, body mechanics etc. Bye-Bye Back Pain Blues- back care, injury prevention, recovery & pain management. AgeProof your Body- aging employees are a challenge for all organizations. 99.9% of our thousands of workshop participants say they would recommend our trainings to others. performance and your businesses productivity and profitability. An injury prevention starter course. Teaching your people about what WorkSafe BC's ergonomic risks are and what MSI's or MSD's are. This course also goes into some of the invisible but common risks are and how to mitigate them. Neutral is a common and popular term in ergonomics, fitness and rehabilitation. Some people don't know what it means and many get a distorted sense of neutral. Neutral is a starting place. If you cant' even find an accurate state of neutral then any ergonomic intervention is going to be reduced in it's effectiveness. Participants leave with practical tools and knowledge. Back injuries are the most common and costly reason for lost time incidence. It costs the organization and the individuals. Most back injuries are preventable however according to WorkSafe BC statistics the incidence of back injuries have stayed close to the same over the last 15 years. These workshops start with the basics and then go into more advanced information and tools for back care. Changing behavior needs repetition, reminders and a systems approach. We can get you started and provide the tools to create lasting improvement and change. Value added trainings that actually resonate and connect with your people. When you spend most of the day sitting it can create a lot of problems. Ergonomics is important as well as body awareness to prevent injuries for computer users. Computer ergo set-up will be discussed and you will learn how and why to fine tune the adjustment of your chair and office equipment. self care techniques, seated exercises, body awareness tips. How we stand, bend and lift makes a big difference on our strength and power. Everyone has heard “Use your legs not your back,” but few apply it. This class will leave you with the motivation and understanding to use simple principles and practices to get more strength and power without pain or injury. It will leave your people more resilient, wise and powerful. Stress in itself is neither good nor bad. Stress is not all bad. Stress helps us to learn, to improve, to create, to excel. However when stress gets to be to much it becomes dis-stress. Dis-stress can have many negative and costly impacts on your people, processes and productivity. Learn the critical factors and gain a more positive association with stress. Your people will come away with knowledge and effective tools for recognizing and managing stress. Too many people get old prematurely. Work, stress, injuries, sedentary job or lifestyle as well as our own expectations can all be major contributors to feeling and functioning older than your years. There are many reasons for this but most of them can be associated with faulty patterns the brain learns. Once learned it becomes normal and we don’t notice it. We lose control of our health, balance and movement. This loss of control effects your body and your brain. It takes away from your quality of life, your peace of mind, your ability to move and perform and increases the risk of injuries and pain. It can strip you of your power and well-being. To take back control doesn’t have to be hard. Come learn some specific and applicable steps to get back in the drivers seat of your aging, health and quality of life. Learn the most common causes of pre-mature aging and take away a few things you can do to AgeProof your body. To get a full training, workshop and course menu please email us. Practical training’s tailored to the needs or your organization. We help “Release the Performance” of your people and your organization. We challenge your people to start to take control of their prevention and performance. We get them involved, find out what makes them tick and give them practical tools and information they can apply to their work, their movement and their life. We don’t just give them the fish, we teach them how, why and when to fish. Education especially adult education demands specific approaches. Our staff have been researching and refining our programs and delivery so you are getting the best practices proven by today's science and over 20 years experience. We use methods to access all learning styles and help improve the knowledge and retention for all the levels and forms of intelligence. We use the proven methods for learning, understanding and retention. We make it applicable to the jobs, positions and demands that your people work in everyday. One of the reason our workshops are so well received (99.9% of people taking our workshops would recommend them to others) is because we just don’t talk to the audience we interact with them. We open their eyes and their minds to the limitations of most approaches and give them the understanding, motivation and techniques for immediate application and benefit. Just presenting information and statistics is very boring. People like to be entertained and engaged. This is when learning becomes embodied. We can take a closed or restricted mind and open it to new possibilities of self awareness, skill development, resilience and personal performance. We take special pride in making your people better now, but also giving them the tools so they can continue to improve on their own.